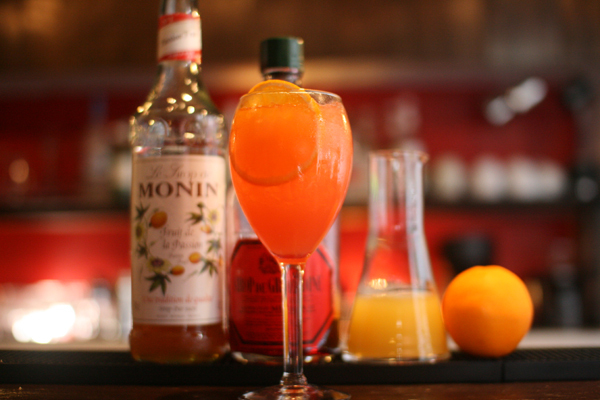 Build all ingredients in a glass filled with crushed ice.Garnish with orange slice. 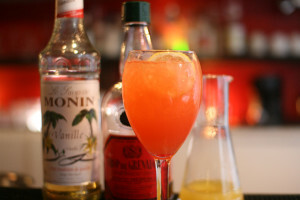 Today’s cocktail is Zum Zum. 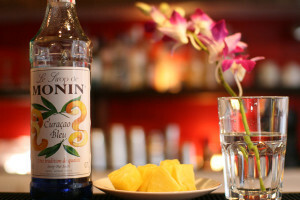 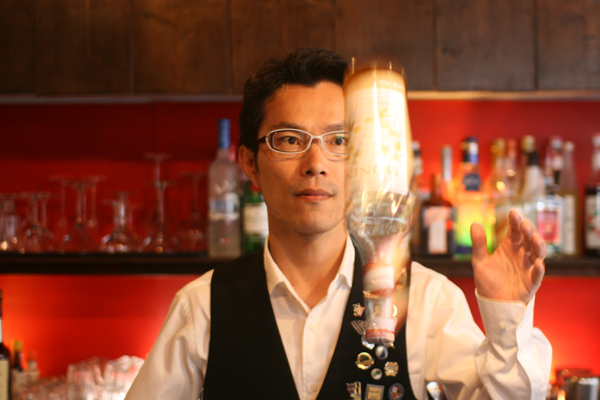 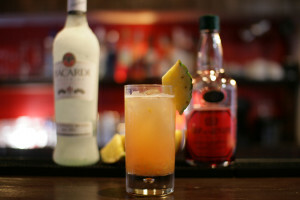 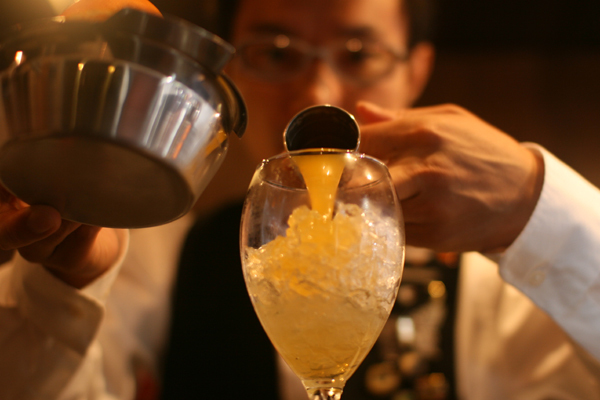 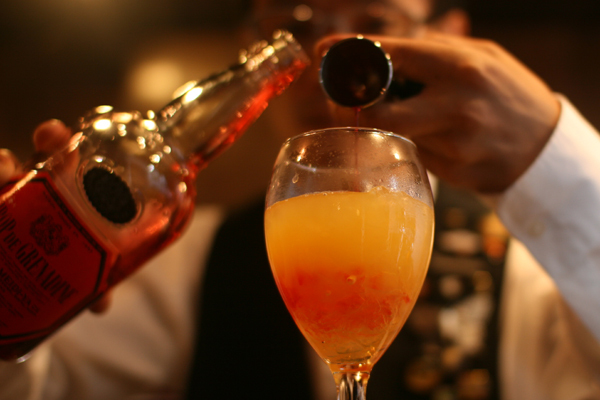 Pour 10ml(the recipe is 20ml) of passion fruit syrup into a glass with crushed ice. 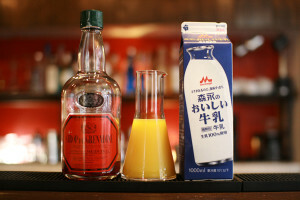 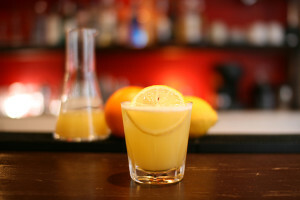 Pour 45ml(the recipe is 90ml) of orange juice,45ml(the recipe is 90ml) of pineapple juice. 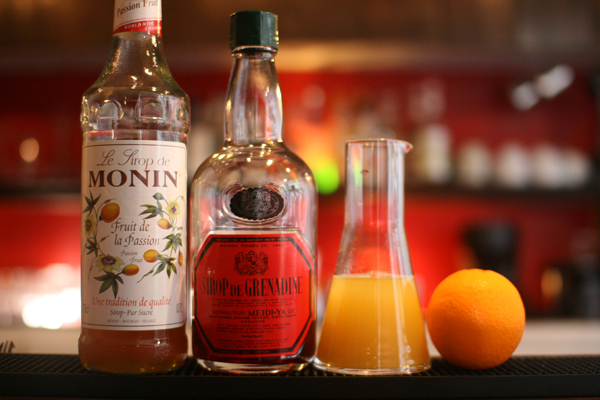 Pour 2.5ml(the recipe is 5ml) of grenadine syrup.Garnish with orange slice.